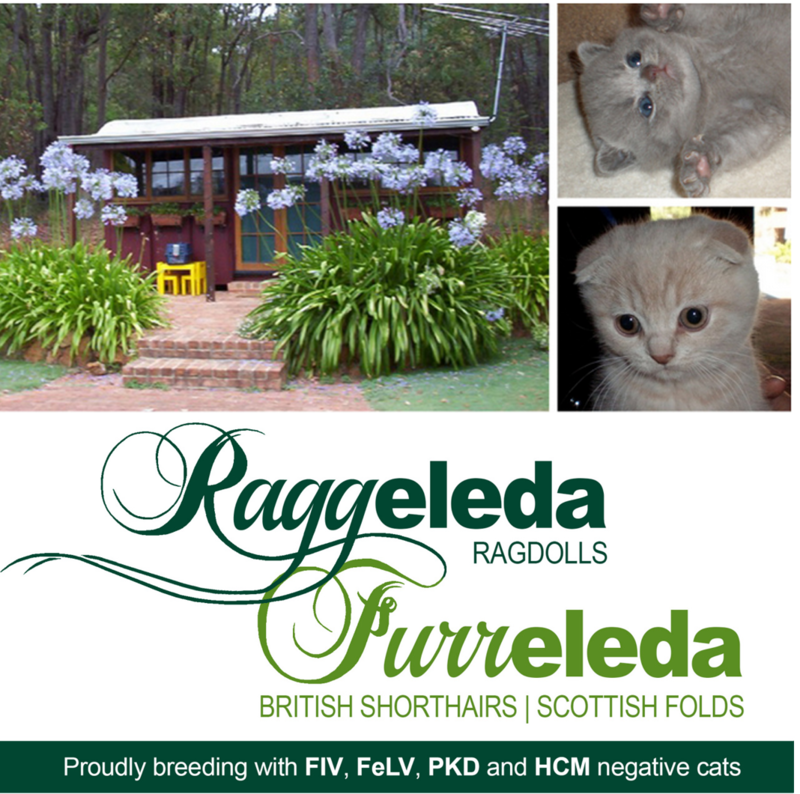 Our prefixes are : Raggeleda (for Ragdolls) ; and Furreleda (for British Shorthair, Scottish and Scottish Shorthair). 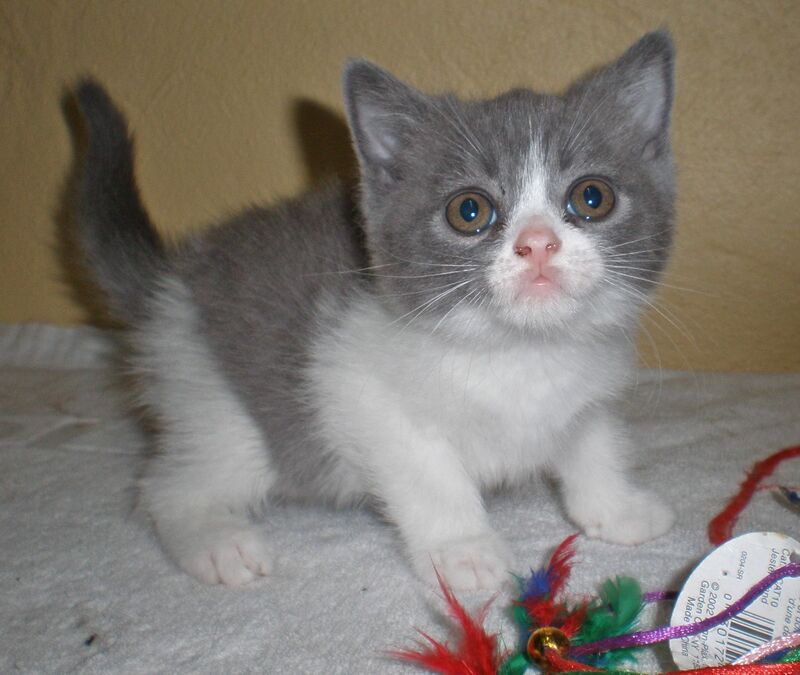 Eleda Cattery is located in the picturesque hills of Mundaring, approx 35 km north-east of Perth in Western Australia. My cattery is a Council Approved Cattery in the Mundaring Shire and I am a registered breeder with COAWA (Cat Owners Association of Western Australia) under the Prefixs' of Raggaleda and Furreleda. I have always had a passion for animals and enjoy all aspects of caring for and improving the breeds I work with, I have an unquenchable thirst for knowledge and thrive on implementing the knowledge I have gained throughout my life by investing it in the health and well being of my cats and the kittens that I produce. For the last 15 years I have been well known for not only my Ragdolls, British Shorthairs and more recently my Scottish Folds but have been very well known as Australias' Rabbit Lady for many years. I ceased breeding rabbits in 2012 so I could concentrate my efforts on producing some new and exciting colours and patterns in the Brits and Folds program which I am thoroughly enjoying doing with a like minded breeder on the East Coast. At Eleda Cattery, my philosophy differs to most breeders, but it is a formula I have adopted after many years of knowing what works for me, my cats and my clients. I guess I must be doing something right when I have a number of instances when I have provided kittens for up to three generations in the same families.